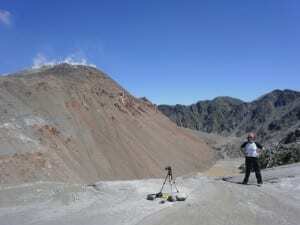 In 2008 Chaitén Volcano in Chile reawakened spectacularly after what was thought to be over 5000 years of slumber. In early May 2008 the residents of nearby Chaitén town received just 24 hours warning of the imminent eruption in the form of earthquakes strong enough to knock objects from shelves. Residents of the small town, known as the Gateway to Patagonia, one of Chile’s most spectacular and remote regions, evacuated themselves from their vulnerable position at the mouth of the Chaitén River, directly downstream of the volcano. The eruption began explosively after all residents had safely departed the town and continued effusively for the next 2 years. What made this eruption particularly significant and thrust this small forgotten corner of the world into the global limelight was its extremely sudden onset coupled with the fact that rhyolitic eruptions are so rare that this eruption was the first to be observed in over 100 years. This rarity meant that it was an extremely appealing case study to focus my PhD research on, and an even more appealing place from which to collect experimental samples. This fascination is what led to myself and 6 colleagues, including Professor Peter Sammonds (UCL) and Dr Hugh Tuffen (Lancaster University), to set out on New Years Eve 2013 on the mammoth journey to Southern Chile to visit this incredible volcano. 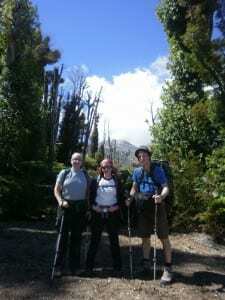 After four flights, the last of which was in a 9-seater aeroplane that landed on a landing strip that doubled as a main road when flights weren’t expected, and two days, we finally made it to the trailhead of the hike up to the crater rim of Chaitén Volcano. This relatively short yet steep hike up the flank of the volcano took us up through the blast zone, an area of once-dense forest that was destroyed by pyroclastic flows generated from the eruption. 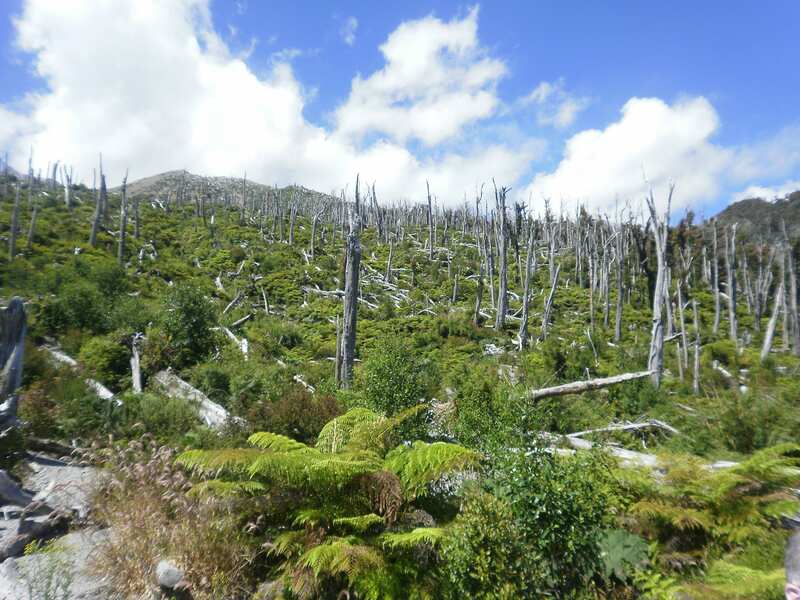 An encouraging sign of recovery on these slopes was the re-colonisation of vegetation where previously only sporadic trees stripped of all foliage and bark remained standing. Reaching the crater rim and seeing Chaitén’s 400m lava dome come into view was an awe-inspiring sight. Its imposing size and impressive slopes made for some unforgettable first impressions from the rim. We set up camp on the crater rim as the sun was setting and took in the spectacular scenery. Despite my enthusiasm for the field trip, I must admit that the descent into the crater the following day was not my favourite activity. The 50m scramble down the perilous near-vertical unconsolidated slope was a challenge, but the end location definitely made the journey worth it. Gazing up at the dome from the crater floor allowed us to fully appreciate its true magnitude. Most of the dome’s lower slopes are covered in scree, but small intact outcrops offered us tantalizing glimpses into the make-up of the dome itself. It was from one of these outcrops on the earliest lobe of the eruption that I collected my largest sample of rhyolite. Weighing in at 26kg it proved a challenge to transport but hopefully will provide an excellent insight into how this rhyolitic dome formed. Littering the crater floor we also found a plethora of incredibly interesting samples. I collected 3 more large blocks of sample material from the crater floor, including a 7kg piece of an obsidian volcanic bomb. As we could only collect what we could carry we had to be selective, however, and several large volcanic bombs had to be admired and recorded but alas left where we found them. With the help of Hugh and Peter and two trips down the volcano I managed to collect 55kg of sample material from Chaitén Volcano, making it a very successful field trip indeed! The samples collected from Chaitén will enable me to better understand the dynamics of the 2008 eruption via laboratory analogue experiments. I will measure the permeability of cored samples under volcanic conditions simulated in the lab in order to help determine how gas escapes from the volcano during eruptions. 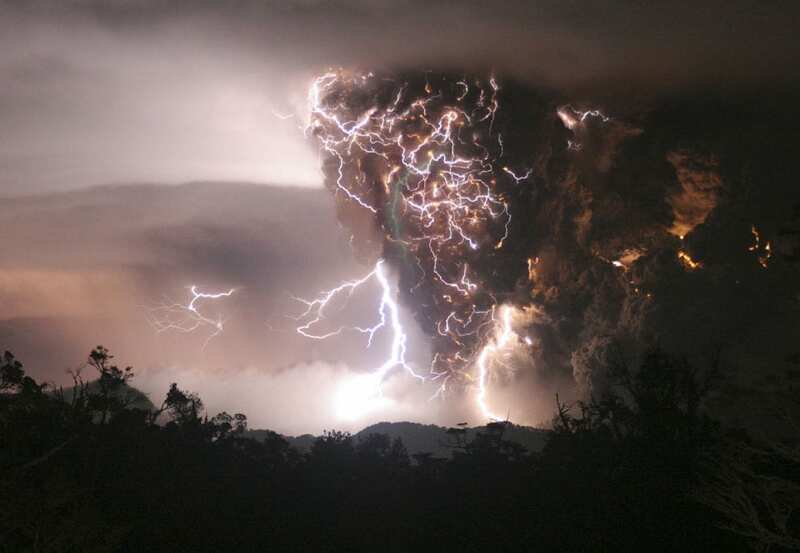 Gas escape greatly influences the dynamics of the eruption and ultimately how dangerous a volcano can be.